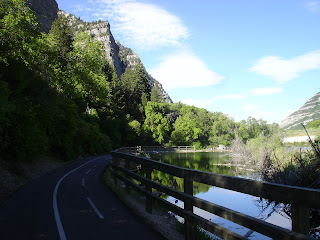 Every weekday morning around 7:00am, Bryson and I jog a five to seven mile segment of the Provo River Trail. 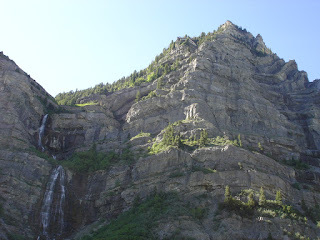 It's a 15 mile trail that runs right along the Provo River from Utah Lake up through Provo Canyon. Bryson loves the sound of the river and it soothes him right to sleep. Mommy enjoys the crisp fresh morning air and the amazing scenery. This morning we hit the top of the trail and took these pictures to share. 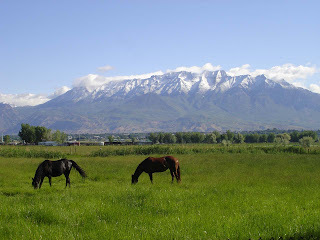 This last picture was taken during our jog a few days ago at the bottom end of the trail out by Utah Lake.